Before becoming involved with WOW, Nicole Hansma and her husband Scott were attending a small group that was working through the series “Crazy Love” by Francis Chan. In following along with this series, Nicole and Scott felt God calling them to become more involved in ministry. At the time Nicole and Scott had no idea in what capacity or with whom God wanted them to partner with. Both Nicole and Scott had been on short-term missions trips in the past. However, they both felt as though they wanted to make a long-term commitment to a project where they would have the opportunity to partner and develop long-term relationships with individuals and a particularly ministry. A former staff member at WOW (Cheryl D) was also attending this small group with Nicole and Scott. Around the same time, WOW was partnering with Pastor Eric and Dalton in the initial planning stage of establishing a farm as an extension of their ministry. 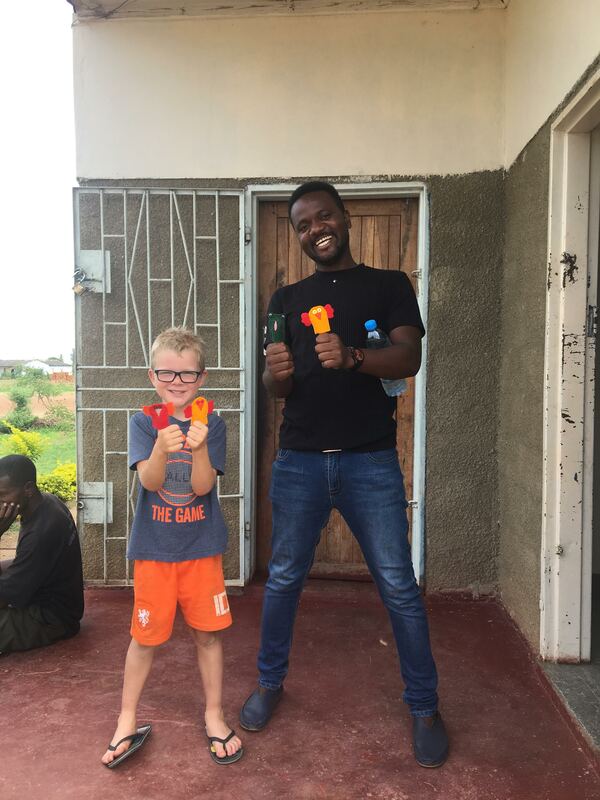 Pastor Eric and Dalton are the primary overseers of the ministry we partner with in Zambia known as Impact Community Outreach (ICO). 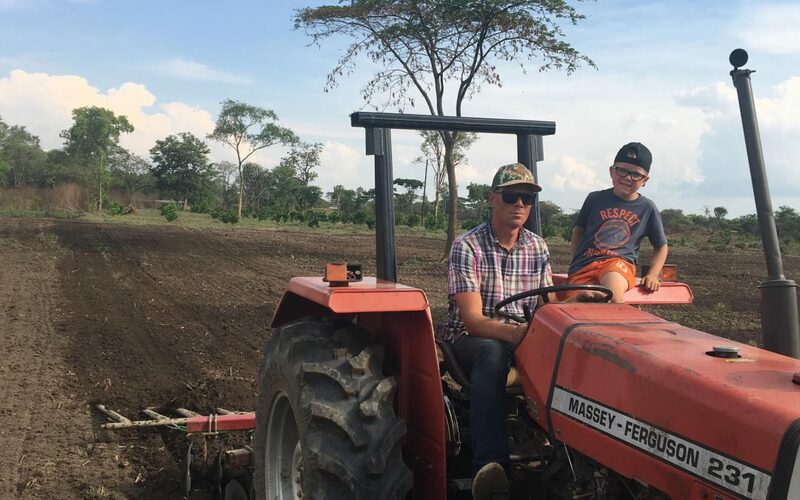 Pastor Eric and Dalton felt called to establish a farm back in 2012 that would enable them to promote food security for families involved in their WidowCare and Home Based Care programs. This farm came to be known as Rob’s farm in honour of Rob Hall who passed away in ministry in Zambia in 2012. Cheryl knew of Scott’s background in farming and mentioned this potential project as a possible ministry they could become involved in. Scott grew up on a dairy farm and is currently involved in environmental erosion control. He partners with farmers in determining how water works best with different soils. He is also involved in tree removal. 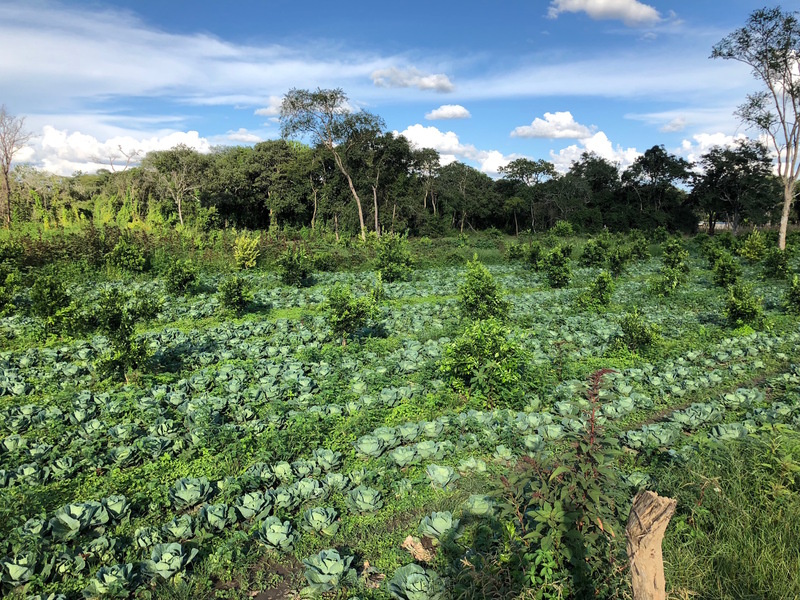 Scott and Nicole felt as though they had been equipped by God to partner alongside these local leaders in Zambia in the development of this farm and said “yes” to partnering with Rob’s farm and their staff moving forward! In 2012, Scott and Nicole travelled to Zambia for the first time. During their two week stay, they had the opportunity to observe a number of different initiatives that Pastor Eric and his team were working on. They also looked at different plots of land that were available for purchase with a team from ICO in efforts to find a portion of land that would be suitable to start Rob’s farm. After returning home from this trip, Nicole and Scott felt that this is exactly where they were supposed to be. Scott and Nicole made a commitment to our partners in Zambia to visit approximately every year and a half. In March 2014, Scott and his dad, who is a full-time farmer, travelled to Kabwe, Zambia during the harvest season. By this trip, Rob’s farm had been established. During their visit Scott and his dad were extra hands on the farm to help with the harvesting of crops. 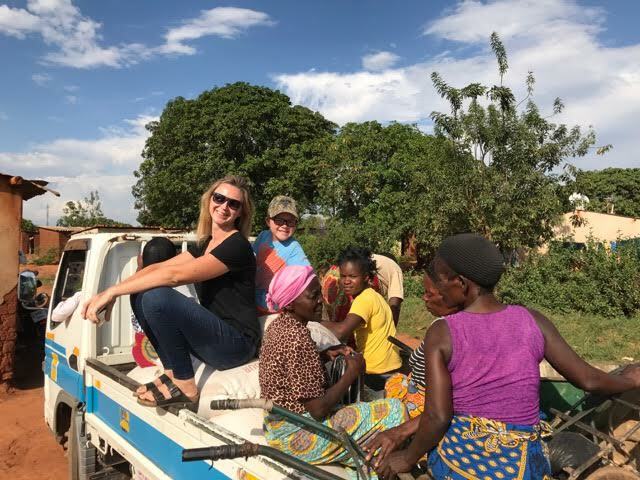 In November 2017, Nicole and Scott returned to Zambia during the planting season. This time, they brought their six-year-old son along with them! During their visit, Scott was able to help with some maintenance work. He helped fix their tractor which helped to make planting more efficient. He also helped with plowing some of the land once the tractor was up and running as they were preparing to open a new field on the farm. Scott also helped the staff make harrows for the farm. 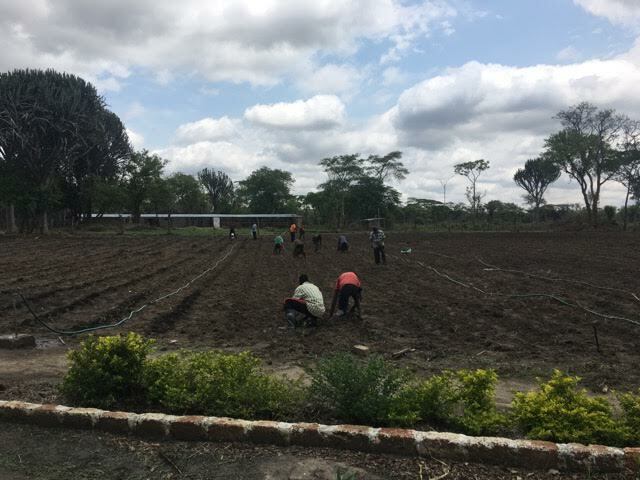 This allowed them to be able to work the field over in order that they were ready for planting. Nicole and their son Steve, had the opportunity to help in planting a field of tomatoes. In addition to helping with the tomatoes, they also helped with the pruning of the orange trees. Nicole and Steve also had the opportunity to visit some of ICO’s other ministries including initiatives that are part of their WidowCare program. Nicole and Steve were given the opportunity to help bring bags of maize from the last harvest to widows involved in programming. Through their travels, the Hansma family has been able to develop strong and trusting relationships with those who work on Rob’s farm. They are eager to return and hope to be able to visit again in March 2019. We are so grateful for the Hansma family and their long-term commitment to ICO’s ministry. Nicole shared two moments of pure joy from their last trip. We hope they bring a smile to your face as you read them. You really can’t go on one trip without having a story that involves a vehicle mishap and some red dirt! Many of Zambia’s roads are made of red soil which results in never-ending dirty feet and makes roads VERY muddy during the rainy season. Steve, Nicole and the lead farmhand were responsible for going into Kabwe to purchase the 5000 tomato seedlings from the greenhouse. They made their way to the greenhouse just fine, however, there were some particularly muddy areas right near the greenhouse. After picking up the tomato seedlings, the truck got very stuck! A group of young adults nearby found it quite humorous to see that they had gotten the truck so stuck. After a few giggles, they came over to help. They tried everything you could possibly think of to try and get the truck out. By the end everyone was in their bare feet, completely covered in mud and tired from all the laughter. Nicole and Steve couldn’t speak the local language but in that moment it didn’t matter. They had so much fun working together and sharing laughs as they tried to maneuver this truck out of the mud. Finally, about 30 minutes later the truck became unstuck! Nicole says that this story still brings a smile to Steve face at least once a week! ICO has been promised to be connected to the city’s hydro for a very long time now. In the mean time they have been working with a generator that is very old and isn’t the most reliable. The generator is what brings life to Rob’s Farm. 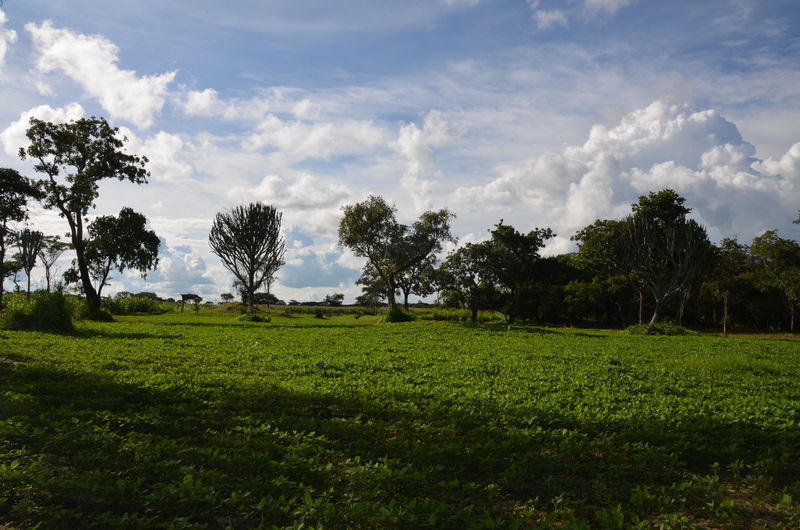 It helps ensure that the fields have enough water during the dry season. While Scott, Nicole and Steve were there in November, they were having a difficult time with the generator. Every day of their trip, Scott spent at least two hours trying to get the generator to turn on. Everyday they would be hopeful it would come back and every day they were left feeling a little more discouraged. By the end of their trip the 5000 thousand tomatoes had been planted. It was very important that they be watered in the first few days following planting. The generator was necessary to pump the water from the well to the holding tank. At the end of their trip, the holding tank was almost empty making it all the more crucial that the generator come back on to refill it. On the very last day of their trip, Scott went out again to work on the generator. They hadn’t quite lost faith. Everyone was waiting around the hut where the generator is kept in anticipation for the generator to come back on. All of a sudden it started to choke and TURNED ON! Everyone was so excited to hear the loud buzz of the generator. It was such a great ending to their time in Zambia. In our most recent discussion with ICO they mentioned that they are still waiting to be hooked up to the hydro. Please continue to keep Rob’s farm and the staff in your prayers as they patiently wait! If you would like to hear more exclusive stories right from the field, feel free to check out our Facebook, Instagram and Twitter pages by clicking on the icons on the homepage of our website. Don’t forget to follow us to stay up to date on the latest posts!